Stainless Steel is an excellent material. Its strong, durable, lightweight, and looks great. But it is also a less forgiving material if proper maintenance techniques are not followed or the right tools are not used. Here are 4 simple tips, techniques and tools for keeping your stainless steel looking great for many years to come. Stainless steel panels are widely used in public, private, commercial, educational, transit, and municipal facilities like kitchens, parking garages, transit stations, schools, universities, public works, and found on elevators, escalators, ticket booths, turnstiles, gates and fences, wall panels, frames, door hardware, kick plates, refrigerator and freezer panels, ADA pool chairs, emergency plates and boxes, electrical cabinets, shutters, kiosks, tanks, and many, many more. Tips 1: Keep your Stainless Steel Clean. Keeping your stainless steel surface clean seems so obvious, but stainless steel is so often allowed to get and remain dirty. The culprit is usually an aerosol, oil-based stainless steel polish. Most stainless steel polishes have an oil-base and many of them are packaged in an aerosol can. 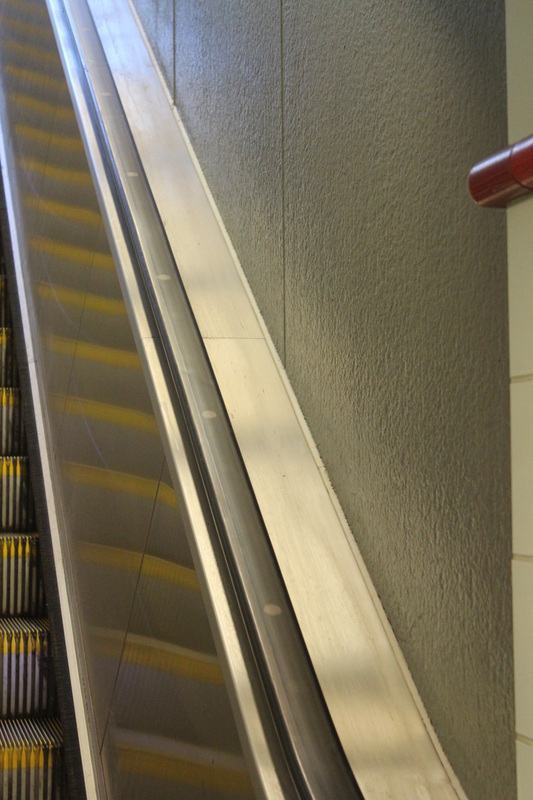 These formulations often result in a thick, greasy build up that attracts dust, smudges when touched, and leaves elevators and stainless steel looking cloudy and dark. The best way to avoid the thick, greasy build on your stainless steel panels is to clean them regularly with a non-toxic, non-aerosol, pH neutral, bleach free and ammonia free cleaner that has strong degreasing abilities. SoSafe Spray Away General Purpose is an ideal cleaner for Stainless Steel. It is highly safe, fast, and effective. It removes greases and oils, organic stains, spills, and microscopic molds, mildews and proteins. Its Quickbreak formulation cleans rapidly and leaves no residue. Total clean is essential when cleaning stainless steel as residues from soiling or polish oils must be fully removed when cleaning to allow stainless steel to sparkle. Stainless steel surface must be clean prior to polishing. Tool #1 for Cleaning Stainless Steel. SoSafe Spray Away General Purpose: an ideal wide spectrum cleaner perfect for cleaning stainless steel elevator panels. Tip 2: Avoid Scratching your Stainless Steel. While nearly every type of stain can be removed from stainless steel, scratches are not easily fixed. Therefore, avoid scratches by never use a green scouring pad on your stainless steel surface! If you need to scrub, find a better cleaner or polish for your stainless steel. Your stainless steel cleaner or stainless steel polish should do the majority of the work, so that a cotton rag, paper tower, microfiber towel or soft sponge should be more than sufficient. Note: The only time you should consider using a scouring pad on stainless steel is when removing rust or surface corrosion, and in the case, only a blue non-scratch scouring pad may be used and must still be used with caution to avoid permanently scratching the stainless steel surface. I recommend the Scotch-Brite Blue Non-Scratch Scouring Pad. Absolutely avoid the common green abrasive scouring pads! Tool #2 for Cleaning Stainless Steel. Non-Scratch Scrub Sponge. Well suited for stainless steel. The gentle sponge side is primarily used. The non-scratch scouring side can be used occasionally to help remove rust or surface corrosion. Tip 3: Less is more when polishing stainless steel. Once your stainless steel surface is truly clean from grease, oils, and soiling, you are ready to polish. In most cases, a good cleaning that removes all of the greasy build up will dramatically change the appearance of the stainless steel. Now that the stainless is a sparkling and gleaming silver, you can apply the stainless steel polish. Most stainless steel polishes contain some oils, so less is more. Shake bottle to remix oils. Apply a drop the size of a quarter onto a cotton rag or microfiber cloth. Then apply to the stainless steel surface in wide, even passes. Avoid applying directly to the surface as this leads to unevenness and thick spots. Slow, even passes with provide the best results. Then walk away and let it dry. Avoid the temptation to apply more or continue to work on the surface. The best quality stainless steep polishes have oils, but fully dry when applied properly.. This is essential so that when touched, there is no greasy residue and no oils to smudge or attract dust. SoSafe Stainless Steel Polish is an excellent Stainless Steel Polish that results in a high level of cleanliness and appearance. Its formulation bring out a deep, rich luster in stainless steel. The oils dry fully so there is no greasy residue. Additionally, the SoSafe Stainless Steel Polish formulation has residual cleaning properties that reduce fingerprints and smudging between cleaning. 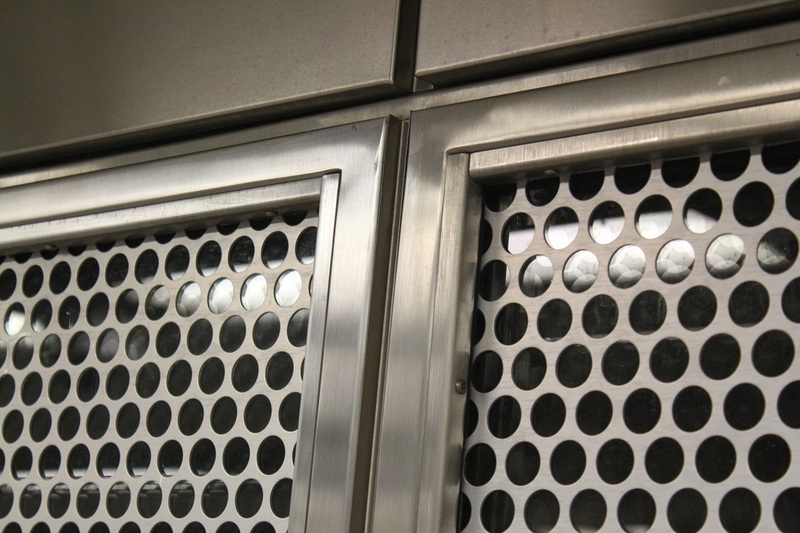 Fingerprint reducing properties are particularly important when cleaning high volume stainless steel like elevators, refrigerators, and turnstiles. Tool #3 for Cleaning Stainless Steel. SoSafe Stainless Steep Polish is an ideal cleaning polish that results in a high lever of cleanliness and appearance. It dries fully leaving no greasy residue. It reduces fingerprints and provides a deep luster to stainless steel. Stainless Steel is not supposed to stain, but alas, it does. When Stainless Steel stains it is typically caused by moisture resulting in surface corrosion and ultimately rust. Higher grade stainless steel is more resistant to surface corrosion while lower grades are more susceptible. Not surprisingly, stainless steel that is exposed the elements such as moisture, salt, freezing or high temperatures suffers the most. Surface corrosion on stainless steel often appears as a brown mist, tea-leafing, water spots, or rust spots. 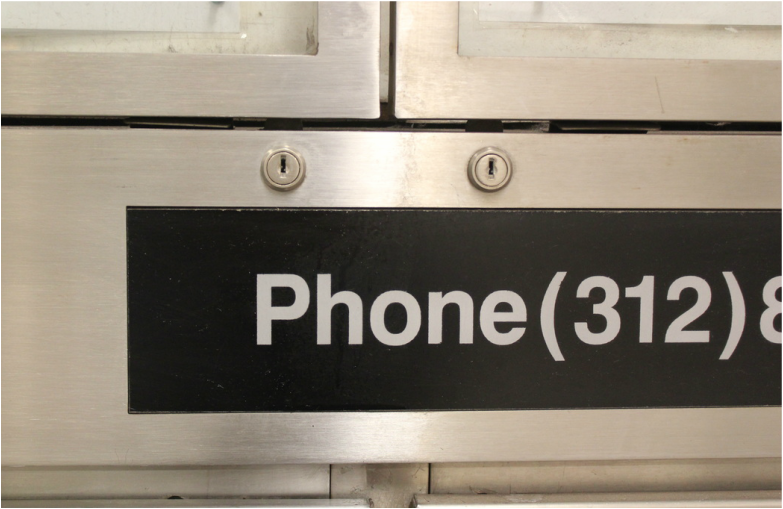 Fortunately, there is a fast, easy answer to stainless steel surface corrosion. SoSafe Metal Bright is a fast, safe and easy to remove surface corrosion, tea-leafing, and rust from stainless steel surfaces. Tool #4 for Cleaning Stainless Steel. For Stainless Steel that begins to experience surface corrosion, tea-leafing, brown haze or actual rust spots, a rust pacifier is necessary to fully restore the stainless steel to it original condition. 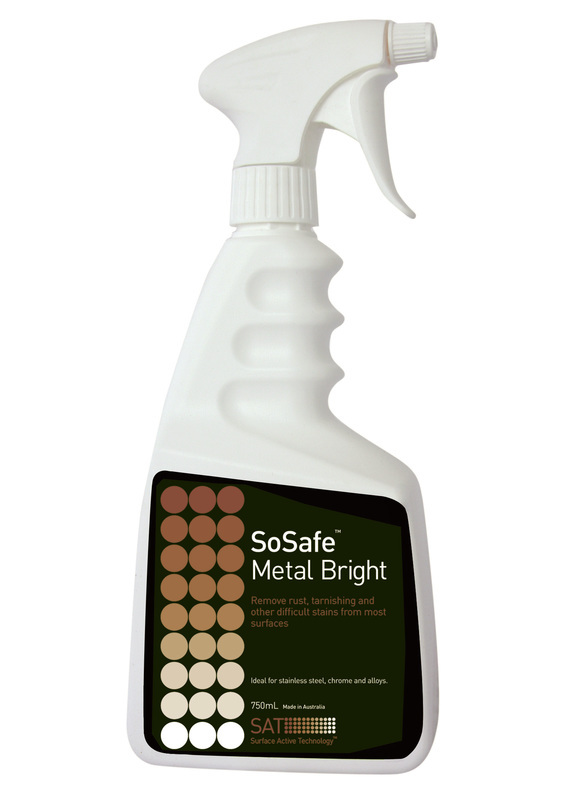 SoSafe Metal Bright is a an ideal tool for pacifing rust and returning stainless steel for original condition. Step 1: Spray SoSafe Metal Bright onto rust effected surface. Step 3: Allow for 2 to 5 minute dwell time. A longer dwell time will reduce amount of "elbow grease". Step 4: Rub with non-scratch scrub pad. Most light corrosion will vanish. Heavier corrosion or rust spots will require gentle agitation with a non-scratch scouring pad. Use caution not to scratch surface! Step 5: Wipe clean with wet rag. 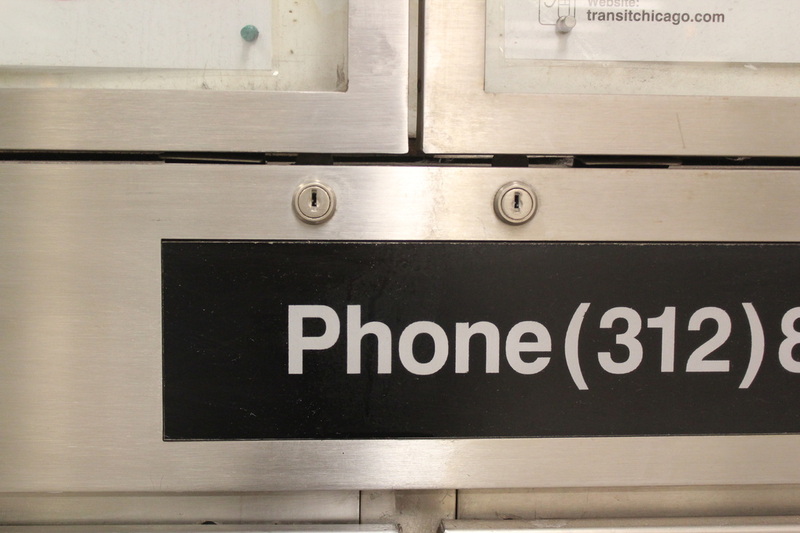 Stainless Steel cabinet after surface corrosion has been removed by SoSafe Metal Bright. Left side has been treated. Right side shows original condition with brown haze.